Back in the 50's and 60's when I was a kid, I'm sure that most kids played Checkers. I don't know if that's true today. So I'll start with the rules for Checkers. 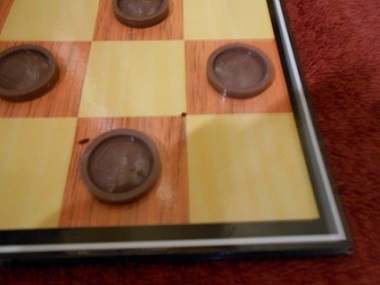 Checkers is a two-player board game played on a checkerboard. 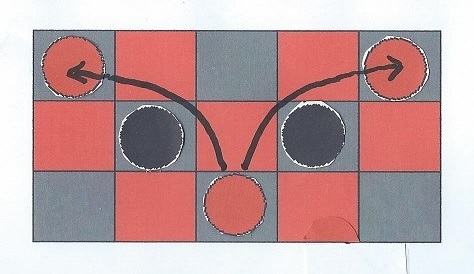 Each player starts with 12 checkers, one player with the light-colored and the other player with the dark-colored checkers. The players sit on opposite sides of the checkerboard so that a light-colored corner square is to each player's right. The players can simply choose which player has which set of checkers. Or they can use a random method to choose such as a coin toss. The winner of the coin toss picks a set of checkers. Each player places one checker on each dark square in the first three rows on his or her side of the board. Then during the game, the checkers move only on the dark squares. The players take turns playing beginning with the player with the dark checkers. 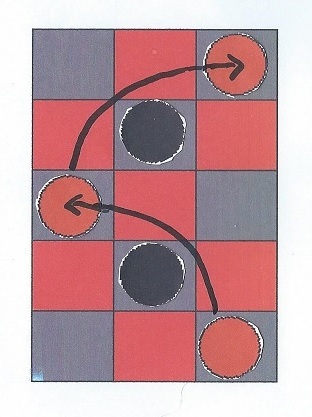 At the beginning of the game, you must always move your checkers toward the far side of the board. On your turn you can move one of your checkers diagonally forward to an adjacent empty dark square. Or if an opponent's checker is on a square diagonally in front of one of your checkers and there is an empty square just beyond it, you can jump your checker over your opponent's checker and remove that opponent's checker from the game. 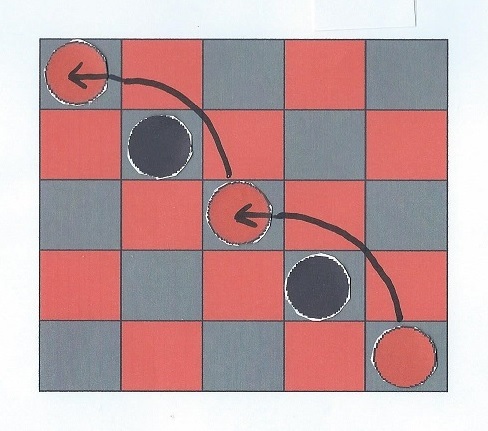 One checker can make multiple sequential jumps in a single turn. If you can jump over an opponent's checker on your turn, you must do so. If more than one of your checkers can jump over opponent's checkers, you choose which checker to play. 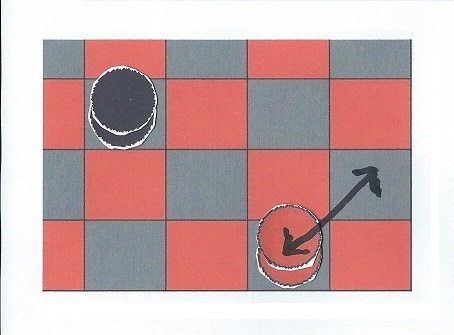 If your checker reaches the far side of the board, it is crowned (a checker of the same color is placed on top of it), and it becomes a king. A king still has the same two moves, moving to an adjacent square or jumping an opponent's checker, but it can now move in any direction, not just toward the far edge of the board. 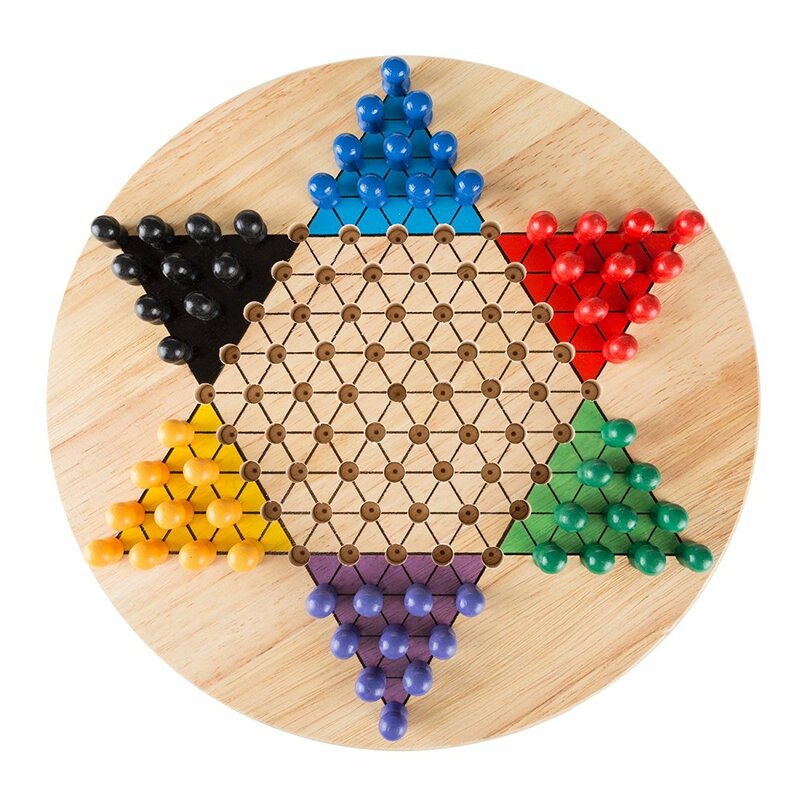 Keep playing until one player loses all of her or his checkers, or until neither player can win the game. 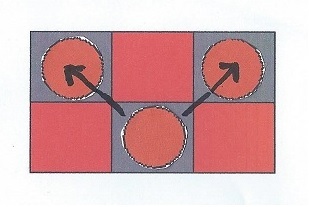 The following illustration shows a game that neither player can win. 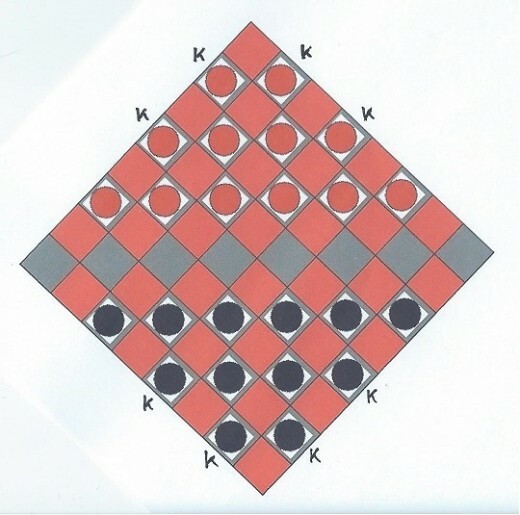 The player with the light-colored king moves the king back and forth at the corner of the board. 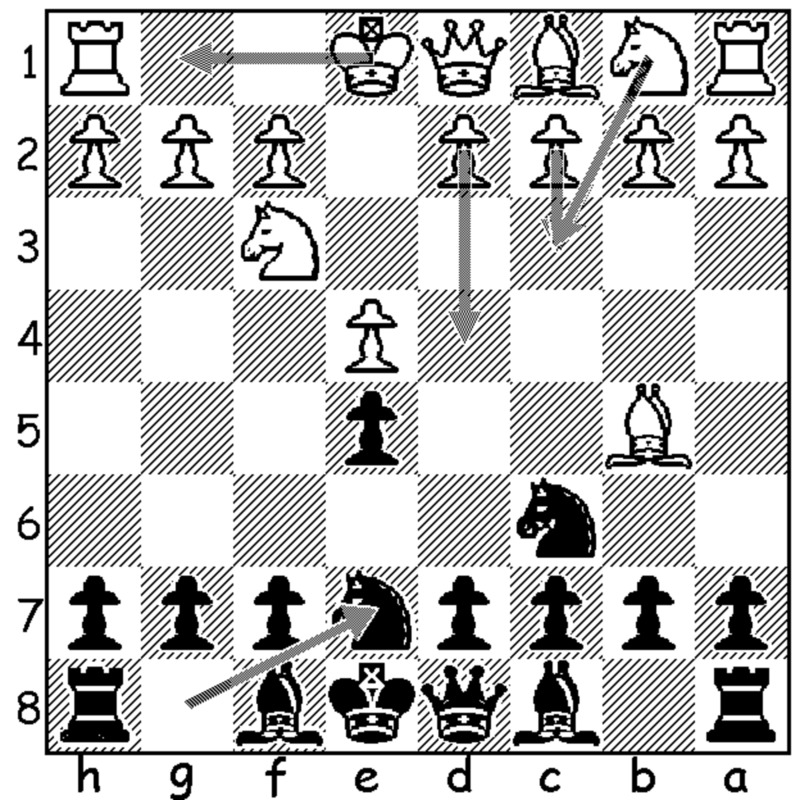 The player with the dark-colored king moves the king around, trying not to put that king in danger. Neither player can win, so the game ends in a tie. There are several variations of Checkers. 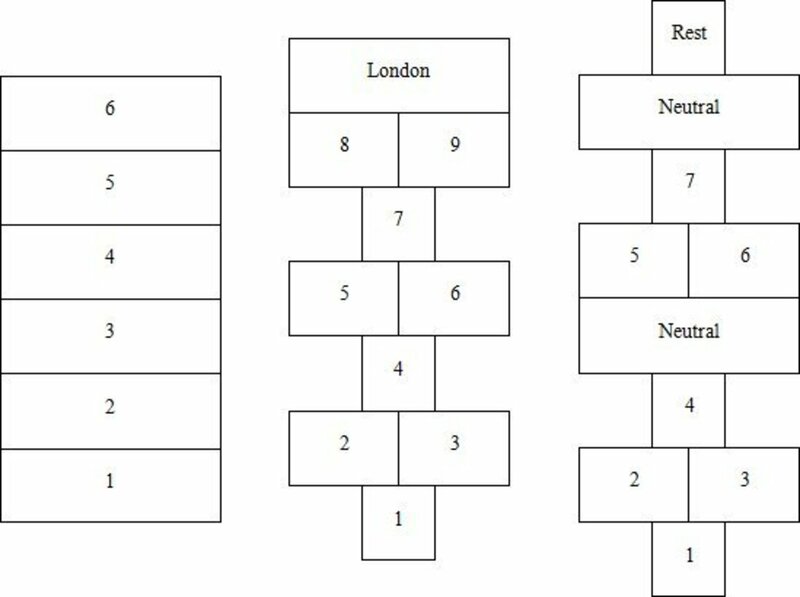 The first and easiest variation is Reverse Checkers. This game is played exactly like regular Checkers except the winner is the first player to lose all of his or her checkers. The second variation is Diagonal Checkers. This game is played like regular Checkers but it is played from corner to corner instead of from side to side. 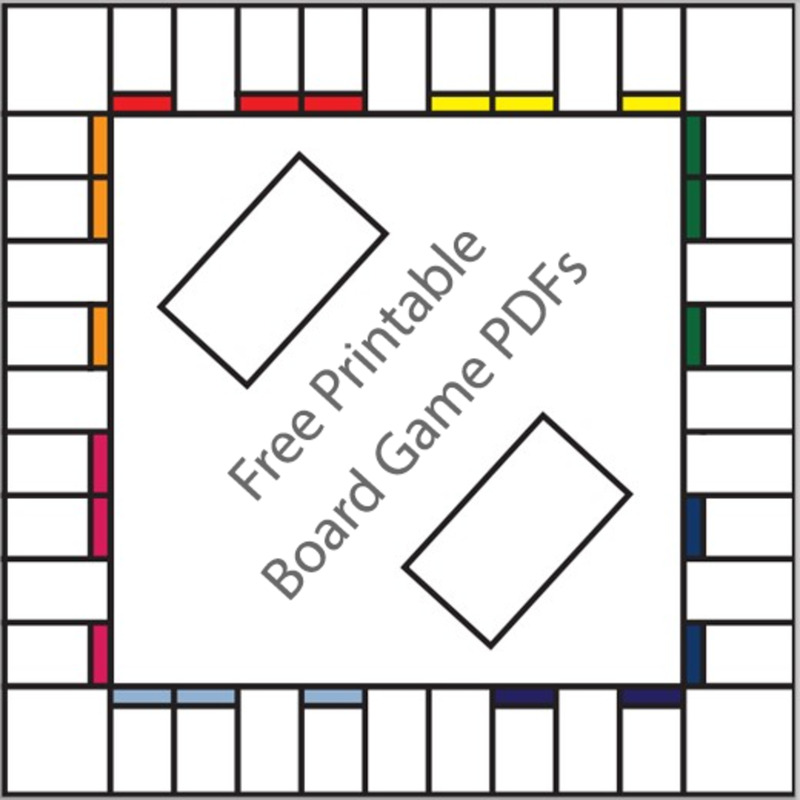 The players sit on the opposite corners of the checkerboard that have a light-colored square, and place the checkers on the board as shown in the diagram. 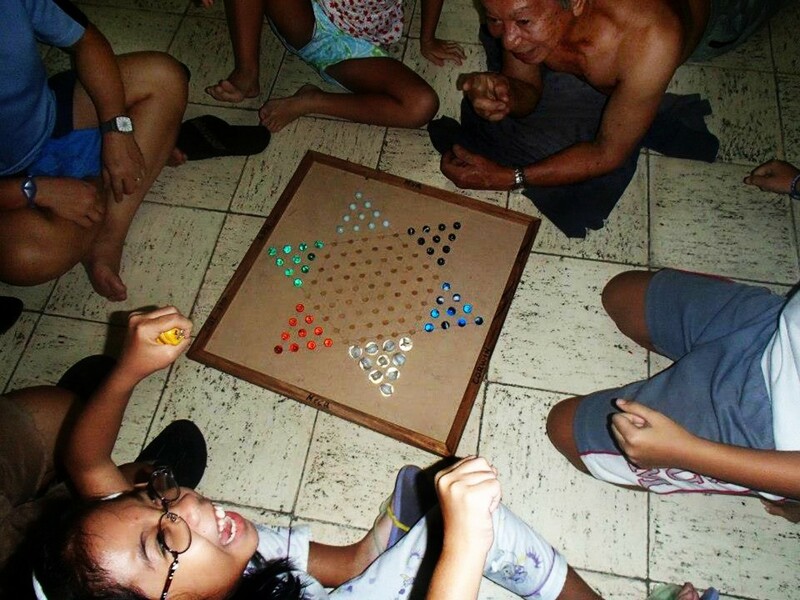 On your turn, if you move a checker to one of the four squares on the far corner of the board marked with a 'K', your checker is crowned and becomes a king. As a third variation called Jump-Crown Checkers, I wondered if the game could be played where jumping and crowning happened at the same time. When your checker first jumps over an opponent's checker, the jumped checker is placed beneath your checker, and it is a king from that point on. Jumps would be limited to one per turn. This variation has not been tested. Does it seem reasonable?